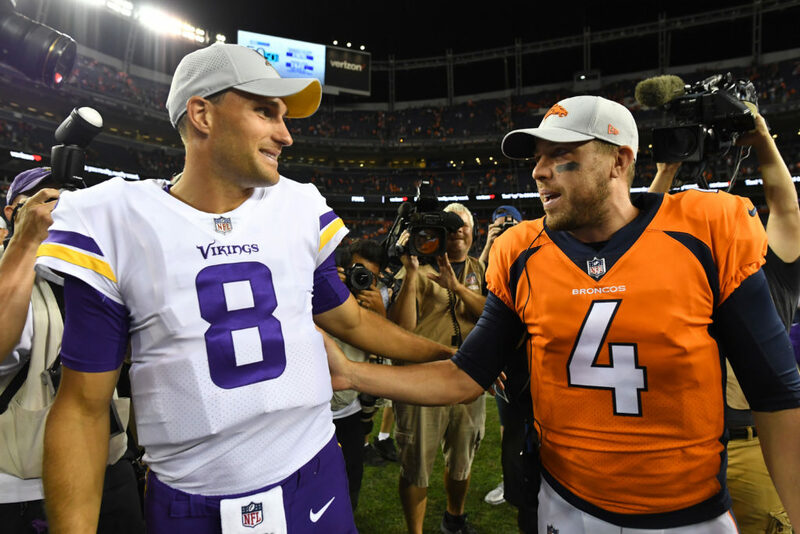 The Denver Broncos hit the field to open preseason play in Denver against the Minnesota Vikings Saturday night and saw many positives — and negatives — to take away from the game. The first team overall as a group struggled on offense and defense. While only playing a limited number of snaps — with several starters and or rotational players not playing (Von Miller, Su’a Cravens, Todd Davis, Menelik Watson, Tramaine Brock, Jeff Heuerman, Clinton McDonald) — Denver was ineffective in stopping the run on defense and failed to score points on the offensive side of the football as they were shut out in the first quarter. Headlined by Paxton Lynch‘s poor play, Broncos Blitz podcast host Ronnie Kohrt dives into the preseason loss to discuss who shined, stood out or made an impact that the Broncos may focus on more in the future. Kohrt focuses on the offense with the rookie running backs that shined, quarterbacks that faltered and on special teams, where Isaiah McKenzie finally showed flashes of his explosiveness.